Our second day at PAX West was filled with special appointments, and because of that, we got to spend more time with (and ask more questions about) each game we saw. 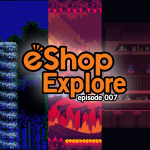 Here’s a rundown of everything we played, a quick synopsis of each game, when you can expect to play them yourselves, and when you can see more about them on Nintendeal! 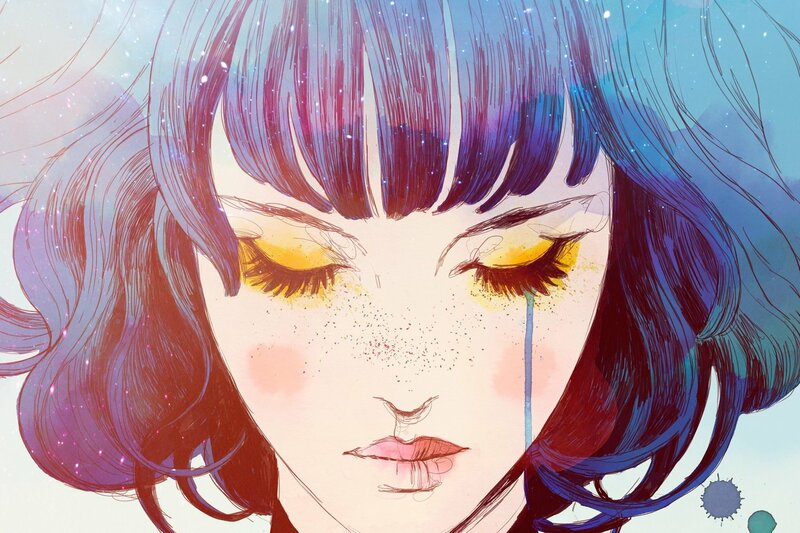 Gris is an absolutely stunning game, and the poster featuring its signature watercolor-style key art was easily the most eye-catching thing I saw when I first walked into the main hall at PAX, so it was an absolute treat to sit down with Adrián Miguel, Lead Animator on Gris, to talk about it and play it for ourselves. 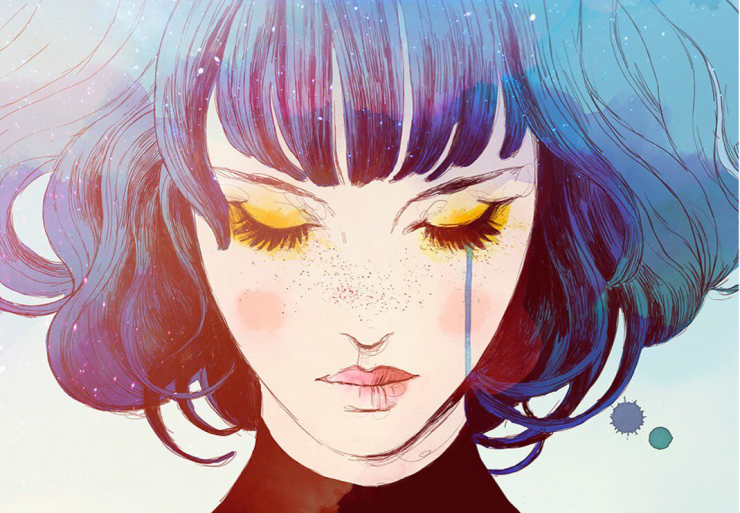 Gris has fluid platforming gameplay with light puzzle elements, and it’s clear Nomada Studio is going to deliver a serene, methodical, and contemplative experience which requires a little clever thinking without ever feeling punishing. Players traverse a beautiful watercolor world that begins with a stark gray palette which becomes more colorful as milestones are achieved. 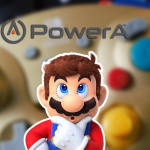 We played a demo comprised of three areas taken from different parts in the game, and each one featured a different power-up which allowed us to interact with the world in different ways. Whether it be a double jump, short distance flight, or the ability to turn into a block, the abilities and puzzles of Gris are satisfying, as is the soothing, ethereal soundtrack. Adrián told us the team is aiming to create a tight, roughly three hour experience, and frankly, we can’t wait to play more when it comes to Switch towards the end of 2018. We captured around 30 minutes of gameplay during our hands-on session with Adrián, so look for that soon! Playing Streets of Rage 4 during our special appointment took me back to my childhood, to a time when I would play beat-em-ups with my little sister, constantly yelling when we got caught in each other’s attacks. Even though we played an early build, combat in Streets of Rage 4 is some of the smoothest I’ve ever experienced in a side-scrolling beat-em-up, (which usually feel slightly stilted to me) and the frenzied fights had me performing combos, jump kicks, and specials in no time. Blaze and Alex have distinct fighting styles (I played Blaze, and absolutely loved her) and while their specials make managing enemies and creating combos much easier and more satisfying, they also drain your health; keep an eye out for health pickups and coordinate with your partner to keep your health topped off or it’s lights out. The game’s stylish art is undeniable, and it is being fully hand-drawn by the studio responsible for Wonder Boy: The Dragon’s Trap. The developers told us one of their key focuses was honoring the legacy of the original games, and their care and attention to detail is obvious when playing. 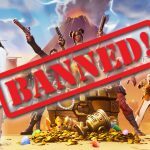 At the time of the demo, only single player and local coop modes are confirmed, but the developers teased an announcement will be coming soon. 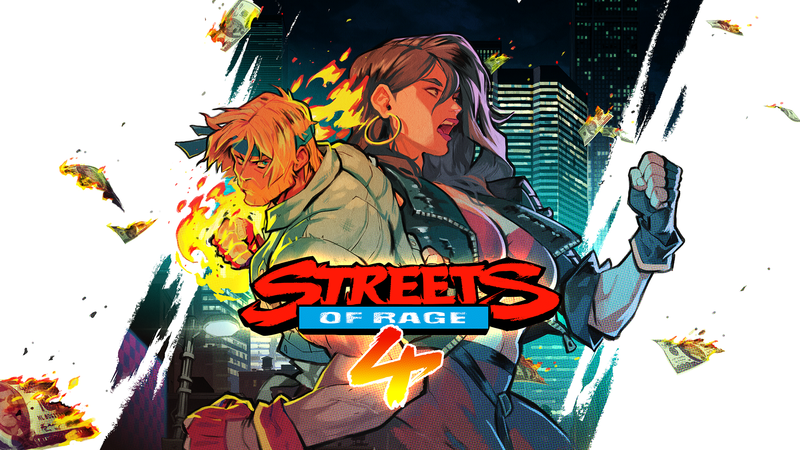 Although I never owned a Sega console growing up, you better believe I’ll be there on Day 1 when Streets of Rage 4 comes out in 2019. 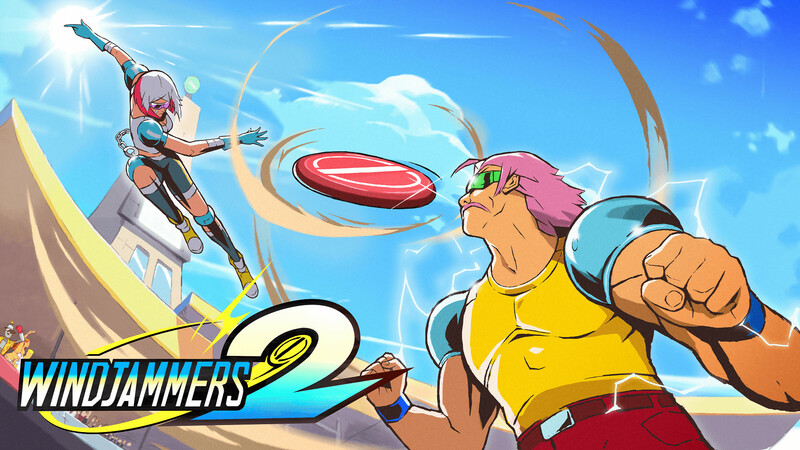 Imagine air hockey, volleyball, and frisbee golf had a beautiful baby who grew up to rock a gorgeous mullet and 80’s clothes, and you’ll have a pretty good idea what Windjammers 2 looks and feels like. I only played a few minutes of the original Windjammers, so when I got to sit down with Kévin Delbrayelle from Dotemu to play the gorgeous sequel, I was transfixed by the hand-drawn animations and reminded of the original’s addictive “air hockey” style mechanics. What began as a straightforward match between myself and Nintendeal founder Andrew Wolf quickly spiraled out of control as Kévin showed us how to perform curved shots, bank shots, power moves, the “hammer toss,” and several other flashy techniques, each one crazier (and more difficult to defend against) than the last. After I beat Andrew in our first three matches, Kévin stepped up and soundly demolished me, showing off some seriously advanced techniques. Although I didn’t score a single point on him the first round, before long I was picking up some of his strategies, anticipating his moves and scoring a few points of my own, a sure sign of an incredibly well-balanced competitive game. Windjammers 2 will feature new and returning characters and stages, a sligihtly bigger court than the original, and include both local and online multiplayer. Dotemu also hopes to release a physical version, but at this point only the digital version is confirmed. Windjammers 2 is the definition of “easy to pick up, difficult to master,” and I can’t wait to play more. The short, intense, rounds fed into a “one more match” mentality that will be hard to shake when it comes to Switch in late 2019. Young Souls’ unique hand-drawn graphics and animations stood out to me immediately, reminding me of some of my favorite modern indie comic books (the poses, aesthetic, and scooter from the key art also remind me of one of my favorite anime of all time, FLCL). The developer confirmed they have drawn inspiration from a number of sources, and the clever combination of medieval and modern elements creates a delightful fusion (especially when wearing heavy knight armor with sneakers). Siblings Jenn and Tristan live in the port town of Portsbourgh and have had a relatively uneventful life after being adopted by a local scientist, but then the pair stumbles upon a portal to another world filled with monsters threatening to overrun Earth, and things get real. The Arcade Crew confirmed Young Souls will have over 70 dungeons, with tons of weapons, armor, and spells to acquire over the roughly 15-20 hour journey. 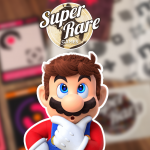 The developers also expressed interest in a physical version, but neither it, nor a targeted price point have been confirmed. Whether it’s coop with friends or solo, I am excited to get more time with Young Souls when it comes to consoles in the next few years. We captured tons of gameplay for Young Souls, so be sure to check back on Nintendeal soon to see it in action! The Bergson family has guarded the sacred Mount Morta for generations, but now, Corruption has infested the mountain, transforming peaceful creatures into hideous monsters. 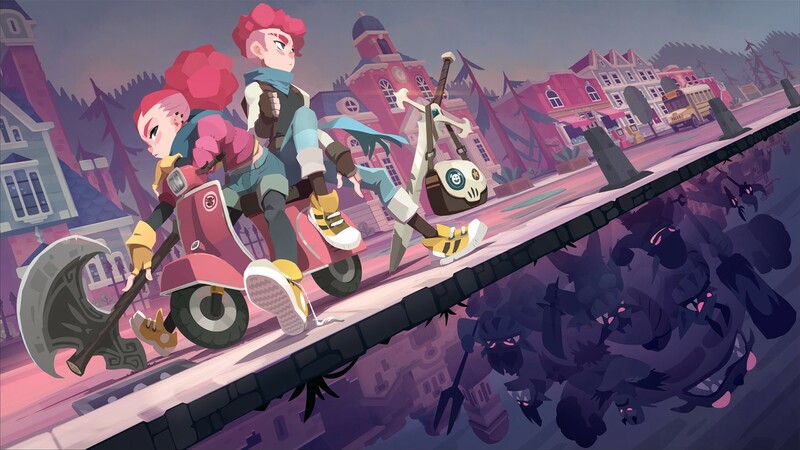 Players control members of the Bergson family in this procedurally generated top-down hack and slash from Dead Mage Inc., and each family member has different weapons, abilities, and playstyles, adding layers to combat and synergy for the game’s satisfying coop mode. Combat is fast-paced and frenetic for the dual-dagger wielding son, strategic and methodical for the experienced archer daughter, and those are just the two characters we played during the demo, so there are sure to be characters to suit a wide range of playstyle preferences. Boss encounters are tense without ever feeling punishing, and Dead Mage has masterfully paced and balanced them to avoid the frequent “damage sponge” issues that plague so many other games. The procedurally generated dungeons and multiple characters add replayability to what the developer confirmed will be a roughly 15 hour game. 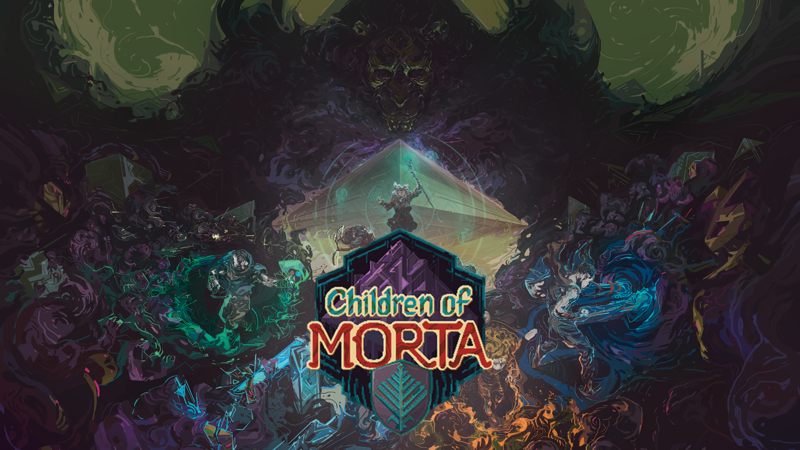 Children of Morta will feature both local and online two-player coop, and the team is currently planning a midrange price point when the game comes to Switch in Q1 of 2019.